Next PostNext Celebrate Valentine’s Day in Disneyland with Special Photo Ops, Food, and More! Shanghai Disney Resort just announced the addition of a new land that will feature and focus on the characters and stories from Disney’s popular animated film Zootopia. This will be the second major expansion of Shanghai Disneyland since its June 2016 opening, and the park’s eighth land. The new land will transport guests to the world of the Academy Award®-winning film, “where anyone can be anything.” A new major attraction in the land will blend Disney storytelling and state-of-the-art technology to bring the metropolis of Zootopia and its characters to life — including Judy Hopps and Nick Wilde. Guests will also encounter new entertainment, merchandise, food, and beverage options centered around the Zootopia theme. Construction is targeted to begin on the new land later in 2019. Zootopia was a global success that broke box office records in China to become the country’s No. 1 all-time highest grossing animated feature film. The film’s characters and stories have resonated strongly with Chinese guests, which has led to the success of Zootopia-themed merchandise, digital interactive games and more throughout the Chinese market. This new announcement comes within a year of the opening of the park’s first major expansion, Disney•Pixar Toy Story Land. Both expansions signal the resort’s early success and confidence in the demand for themed entertainment in China. Have you been to Shanghai Disney? What do you think of this addition? 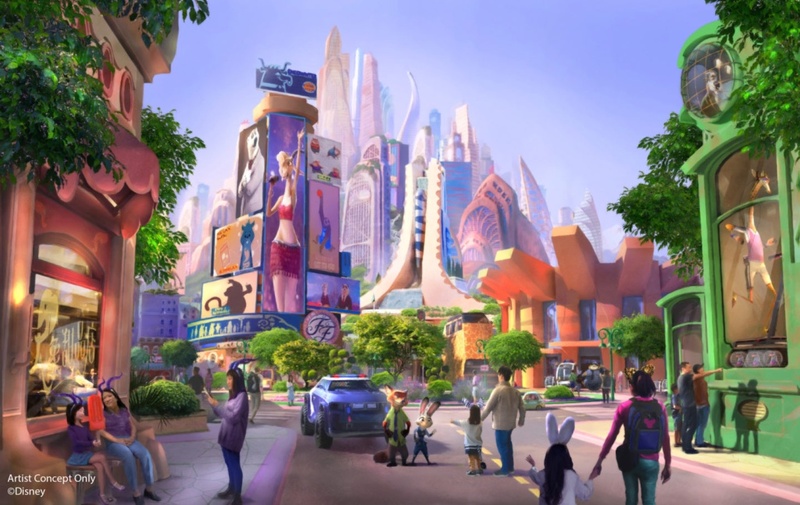 Would you like to see a Zootopia-themed addition to either Disneyland or Disney World? We were daydreaming of a Zootopia overlay of Rafiki’s Planet Watch a while back. Let us know what you think in the comments below!